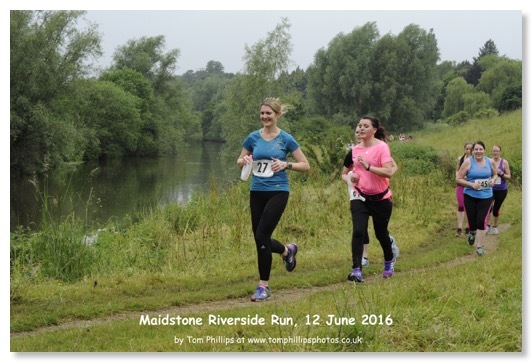 My wife made a late decision to run in the Maidstone Riverside Race, having run her 60th Parkrun on her 60th birthday, the day before. On finding that the event hadn't got a photographer to shoot out on the route, I decided to take to job on. After all, I photograph the same ground several times most weeks. 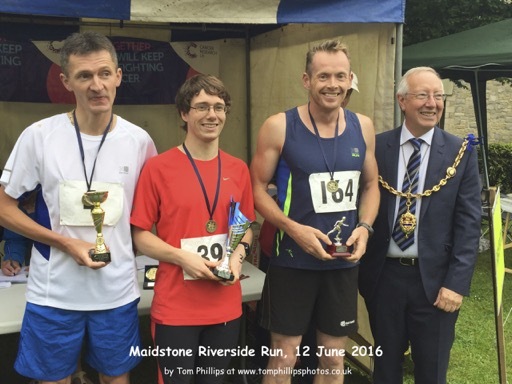 I wanted to find somewhere that really gave a sense of the event being a "riverside run", and chose a favourite spot of mine between Teston and Barming bridges. Good choice, I think. After all the runners had passed me, I surprised myself by still having time to drive back to the finish, at Lockmeadow in Maidstone and photographing getting on for two thirds of them again as they finished the event. The weather was fairly overcast, with slight drizzle at times. Ideal for running. Pity about the nettles in places. The photos are here. You can view them individually or run them as a slideshow. There are 260 photos in total. You can also download or share any of the photos. Look at the bottom of the screen for the buttons. Now, I'm not planning to make any money from these photos. The event was in aid of Breast Cancer Research, so if you do download anything, please consider making them a donation. You can do that here. Up to you how much to donate, of course, but if I sold you a copy of any of the photos, they'd cost about £12, if that helps. If you enjoyed the route, do watch out on my web site for details of my exhibition of photographs taken over about the last five years along the River Medway, between Wateringbury and Maidstone. You'll see places that will bring back memories, I'm sure! The exhibition will be in Maidstone, throughout November 2016, and all work on display will be for sale. I hope to have an advert on the site by early in September.